Concrete Fasteners - How to choose the correct fastener for your project. Is it easy to anchor things to concrete? The answer to that question is "Yes", if you have the right tools and know how to choose the right type of concrete fasteners. Below, I'll give you an overview on how to choose the correct fastener when you have to secure something to concrete. 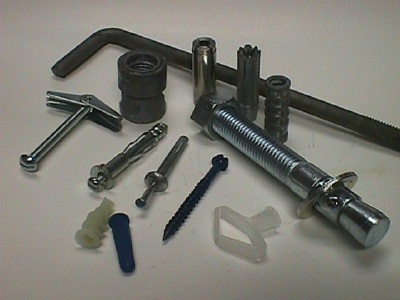 This picture shows the most common types of concrete anchors and fasteners you have to choose from. You'll be able to purchase these at any Lowe's, Home Depot, local hardware store and online. Here are some guidelines to help you choose the best fastener for your project. What is your base material? 1. 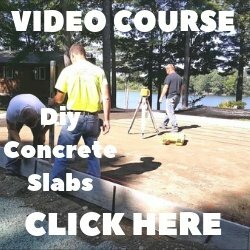 Concrete - all types of concrete anchors will work in concrete. 2. Brick - all anchors except the wedge anchor and drop-in anchor can be used in brick. 3. Block - all anchors except the wedge anchor and drop-in anchor can be used in block. How heavy is the object to be fastened? 1. Smaller, lighter weight objects can be fastened using 3/16” and 1/4" diameter fasteners. 2. Medium weight items will require 3/8”, 1/2" or 5/8” diameter fasteners. 3. Heavy objects call for the use of 5/8”, 3/4” or 1” diameter fasteners. In what type of environment will the fasteners be used? 1. Indoors - for indoor applications, standard zinc plated anchors are ideally suited. 2. Outdoors - zinc can be used, but stainless steel will offer much greater rust resistance. The wedge anchor is available in hot-dipped galvanized, and is very suitable for outdoor use. 3. Around Chemicals - Stainless steel anchors offer the best protection against corrosion when being used around chemicals. The wedge anchor, sleeve anchor, and drop-in anchor are available in stainless steel. The Tapcon Screw is available in stainless. What style of anchor is required? 1. Male Type Anchors - A stud-type anchor that is inserted directly into the concrete hole. When dealing with male anchors, hole size is equal to anchor size (with the exception of the Tapcon screw). No spotting of the hole is required, and oftentimes the hole can be drilled through the fixture and into the base material. No setting tools are required. 2. Female Type Anchors - A female anchor is an anchor with a hole in it that will receive a screw or a bolt. The female anchor is placed in the concrete hole, and the bolt or screw is then inserted through the fixture into the female anchor. Female type anchors require the spotting of the hole, and required a larger diameter hole (identified by the outside diameter of the fastener). A setting tool is often required. Here's a great video from concretefasteners.com showing you the right tool to use and how to install a concrete wedge fastener. 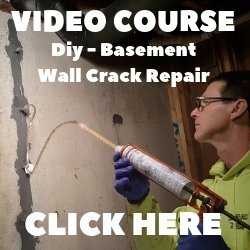 To learn more about the different types of concrete fasteners and how to use them, concretefasteners.com has some great diy-articles.